Business ahead of business. CSR, strategy and communication adviser and executor. Flemming Wisler has worked more than 20 years with PR, communication strategy, copywriting, creative development and consulting. He has specifically worked with communication tasks that are rooted in Corporate Social Responsibility (CSR). He has for several years dealt with climate issues and solved research and communication tasks for companies such as Elsam, DONG Energy, Novozymes, Volvo and NCC. He has over the years built up a close network with scientists and engineers who have helped to put Denmark on the map in the clean tech industry. Flemming was founder of the Copenhagen-based agency CA in 1991, which introduced the Web to Danish business in the 1990s, and which later became one of the country’s fastest growing PR groups within proactive media relations. 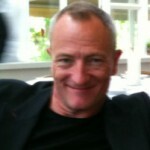 In 2002 he started the award-winning agency NXT, which worked closely with the Copenhagen Institute for Futures Studies. He co-founded pagegangster.com in 2006, which is currently exploring the new world of online publishing together with some of the world’s leading web entrepreneurs. Co-founder of House of Futures in 2009. Futures studies, the company of the future, sustainable business models, CSR, feminine leadership, books, and magazines. 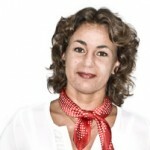 Gitte Larsen is a futurist, author and editor. Reality dreamer. Married, two girls, and has a Masters in Political Science. Worked 13 years at Copenhagen institute for Futures Studies (1996-2009), the last seven as Editor-in-chief of the award-winning magazine FO/futureorientation. Author and co-author of three books, and consultant on several others. Likes to do talks, and loves writing, editing and working on big interdisciplinary projects. Was Project Manager of “In 100 Years – starting now” supported by The VELUX FOUNDATION. Always wants to be even braver. Annoyed that we still have so few women in executive leadership and excited about a more sustainable society and the value of the company of the future. Co-founder of House of Futures in 2009 and owner of Editions. Sensuous society, universe design, evoking new visions, mindset-shifting, staging transitions, performance art and design, aesthetics and poetry, research and analysis, movements. Fiction Pimp, lecturer and performance artist. Operate in the intersection of performance art, research, activism and future studies. Currently works on the project The Sensuous Society: Beyond economic rationality – Suggesting a sensuous mode of being in the world as the outset of a new paradigm going beyond economic rationality. For many years she has aimed at enriching environments with an aesthetic dimension through the use of performance art, universe design and ‘fiction pimping’. She is the co-founder of a range of organizations and movements within the field of performance art applied in a series of different everyday-life contexts, not at least the streets, among them Fiction Pimps (recent project: The Velvet State), Sisters Hope (ongoing project: Sisters Academy), Club de la Faye, Staging Transitions and The Poetic Revolution. She has completed several projects, articles and publications on intervening and relational performance art and new societies. Besides her performance art-practice Gry has a MA in Theatre- and Performance Studies, with a minor in Cultural Economy and Aesthetic Leadership, and is also an Associate at RUC, Roskilde University Center, DK, in Performance Design. 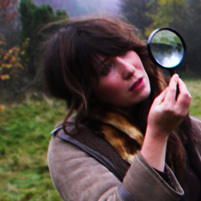 Gry is the head curator of the Dome of Visions and is curating the performance-art program at the Roskilde Festival. Performance art and instructor, performing the future, action research, qualitative analysis and research design, and new rituals. Fiction Pimp, lecturer, action researcher and performance artist, co-founder of Club de la Faye and House of Futures.Inga has a BA in Sociology and has a MA in Arts in Modern Culture. Her artistic and scientific work is driven by her desire for framing and investigating how people experience and reflect upon the world. While studying sociology, she has developed new qualitative methods to document and study the subjective experience of performance art and the social situations it portrays. In her work as Fiction Pimp, she continuously experiments with different aspects of qualitative methods in action research as part of activist strategies and the process of inspiration. Performance art and design, visionary, building communities, category-bending, poetry, contemporary music, movements and universes, visual editor and movie maker. Fiction Pimp, lecturer, musician and performance artist. Madeleine Kate is currently working on a series of intimate performances, which will manifest late March 2014. She is head Performance Designer and Art Director on the new performance art and music festival, Henrys Dream and describes her own mission as creating new opportunities and opening up dimensions to life that were always there, but many forgot how to recognize and materialize. 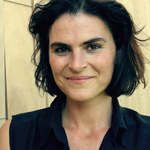 She is guest-lecturer at Roskilde University, Performance Design, and has a broad experience in concept development, designing significant events, mostly in urban landscapes. 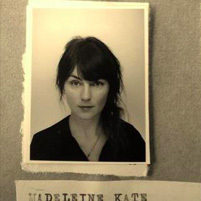 Madeleine Kate is a celebrated movie maker, with an award for best musicvideo 2012 from Copenhagen Pix. She also creates documentation of events, latest from the project “In 100 Years – starting now”, for The Nordic Council of Ministers and various music videos. Co-founder of “Time and Space Died Yesterday”, The Poetic Revolution, Salon:Pissoir (music community), Fiction Pimps, Club de la Faye and House of Futures. 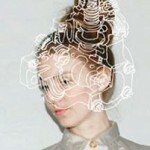 Madeleine Kate is MA stud and has a BA in Performance Design and Visual Culture. Futures studies, backcasting and scenarios, policy development, CSR, and social innovation. Steen Svendsen is a futurist, policy strategist and co-founder of Public Futures and House of Futures. He is former Head of Research at the Danish think-tank, Monday Morning and The Copenhagen Institute for Futures Studies. 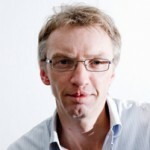 He is also former consulting futurist to Strategy Unit, Cabinet Office, UK. He is educated in political science and former lecturer at the University of Copenhagen. His main areas of work are strategy and policy developments for public and private organisations, and futures methods and techniques. He is an adviser to political ministries, municipalities, organizations and international companies through research projects, sparring and lectures. Steen was Project Manager of “In 100 Years – starting now” supported by The VELUX FOUNDATION. Futures studies, backcasting and scenarios, policy development, research, analysis and reports, future economy, CSR and working market. 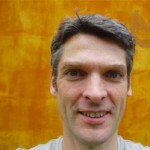 Søren Steen Olsen is a futurist, policy strategist and co-founder of Public Futures and House of Futures. Originally trained as an economist, he has taught economics at the University of Copenhagen and Copenhagen Business School. Worked as a professional futurist at the Copenhagen Institute for Futures Studies for more than a decade. He has consulted, written and lectured extensively on a broad range of subjects including labour market, family patterns, international economics and futures studies. He specialises in political strategy and policy development. At Public Futures he has helped pioneer social innovation in Denmark, working with the Danish Ministry of Social Affairs, The Danish AIDS Foundation, Danner’s Shelter, DaneAge Association, various Danish municipalities, and the National Association of Join-In Centres, among others. Art direction, graphic design, artistic visuals and illustrations, photographer. Stine is a graphic designer and illustrator at NXT since 2005. She has worked as Art Director on FO/Futuresorientation for several years during which the magazine was awarded for its graphic design from both Communication Arts/ Award of Exellence and Danish Special Media/ Anders Bordings special prize. Her main focus is exploring the mix of handmade reality, strong visual graphic identity and the digital age to create images possessing diverse human lives.